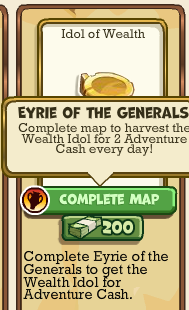 Complete the Maps to recover Ancient Artifacts and harvest them for rewards. 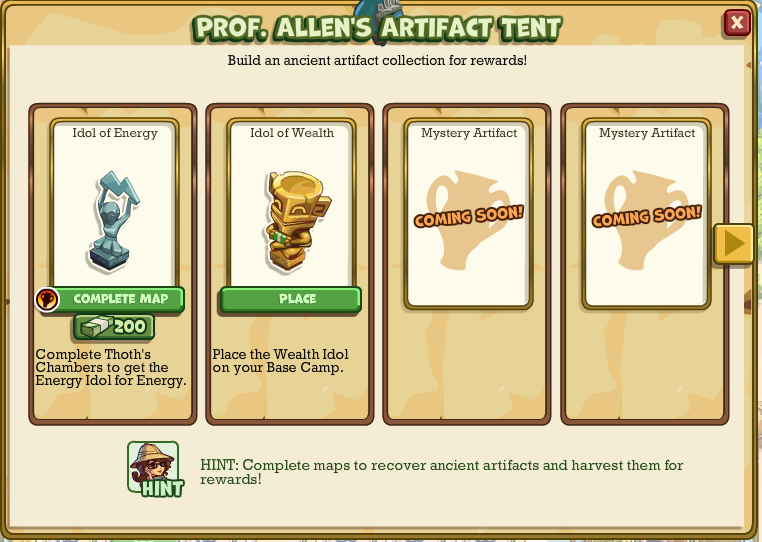 Place the Artifact Tent and go to the Maps looking for artifacts. Let's Start? 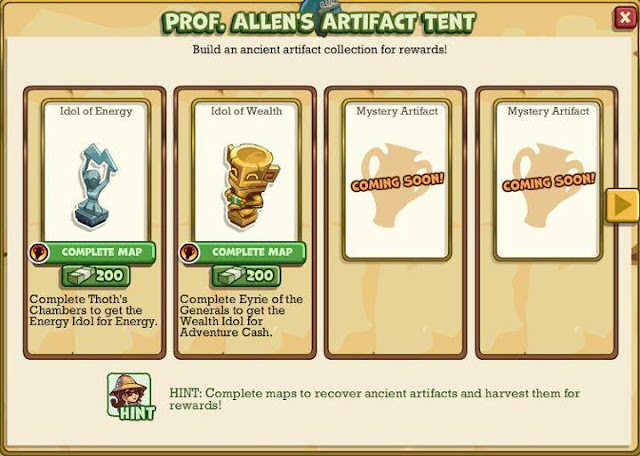 Note: The Artifact Tent is ONLY PLACED in the Base Camp. 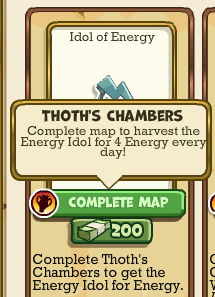 You don't need to really BUILD the tent, but providing artifacts to it. Click on the Artifact Tent to place the artifact, when you have completed the map.